Used BMW 2 Series Review - 2014-present | What Car? 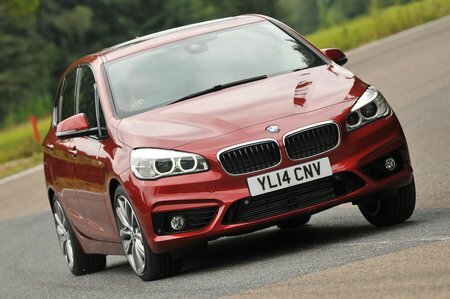 What's the used BMW 2 Series estate like? In some ways, it’s quite annoying, not least because there are so many different body styles of BMW 2 Series that you have to keep tagging on the Active Tourer part every time you discuss it, and that becomes rather a mouthful. Other than that, it’s a very well thought out five-seat MPV that should ease the burden of transporting a family and their luggage. The Active Tourer also marks a break from tradition for BMW in that it's front-wheel drive rather than the company’s more usual bread and butter of rear-wheel drive. This has two benefits, the first being that the vehicle doesn’t need a large central transmission tunnel, which would impact rear legroom. It also means that the model can be built on the same platform as the Mini, which is known for providing fun handling. Because of this, the Active Tourer does manage to drive much better than its contemporaries, the Volkswagen Golf SV, Citroen C4 Picasso and Mercedes B-Class. It certainly isn’t sporty in the traditional BMW sense, but it manages to follow the fine line between handling balance and a comfortable ride – at least in SE trim with smaller wheels. If you go for M-Sport, by contrast, the ride is very firm on its sports suspension. BMW allowed customers to deselect it, or there was the option of adaptive dampers to improve the ride quality in normal day-to-day use – although models so equipped are hard to find on the used market. But the primary function of the Active Tourer is as family transport. 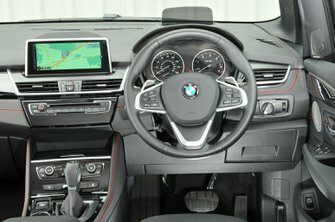 To that end, BMW has put a lot of effort into the usability of the available space. You may not like the look of the raised roofline, but it does help when putting children into their safety seats in the back, and the rear seats split 40:20:40, which helps if you need to carry both longer loads and passengers. In some versions, the front passenger seat can be folded down flat to increase the load area further. There are also lots of interior cubbies and bins, in which stuff can be hidden away from prying eyes. And all of these nooks and crannies are very nicely finished, much more so than in the Mercedes B-Class. The Active Tourer feels a cut above its rivals in this regard.